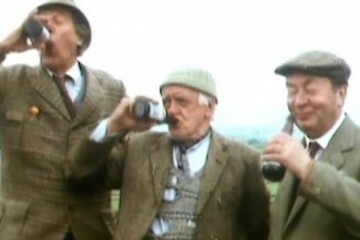 To date, 2015, Last Of The Summer Wine is the longest ever running sitcom, even though it ended in 2010. Over thirty seven years it would clock up 295 episodes over thirty one series. Because of it’s longevity we’ve split the story in three. 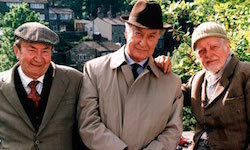 In this post we deal with the show’s golden years where the trio comprised Compo, Clegg and first of all Blamire, then Foggy, Seymour, back to Foggy and finally Truely. We also look at how the show came about. It was 1972 and Duncan Wood, who was head of comedy for the BBC, had been watching a drama on television called “The Misfit”. It was written by Roy Clarke. 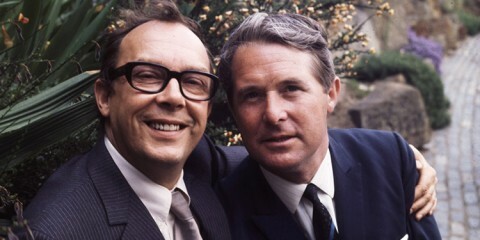 Wood was impressed with the way Clarke had injected humour into the drama and offered him an opportunity to write a sitcom. 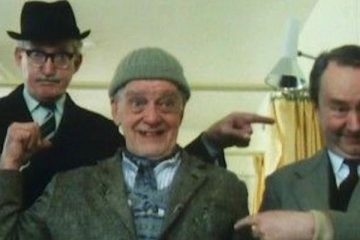 The BBC liked the idea of a sitcom based around three old men. Roy Clarke didn’t like the idea and nearly turned the opportunity down. However he proposed, that the men should all be unmarried, widowed, or divorced and either unemployed or retired, leaving them free to roam around like adolescents in the prime of their lives, unfettered and uninhibited. 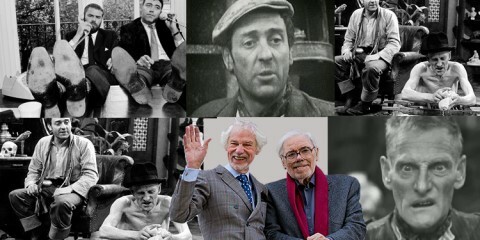 Choosing the title “The Last of the Summer Wine”, Clarke felt that this conveyed the idea that the characters are not in the autumn of their lives but the summer, even though it may be “the last of the summer”. 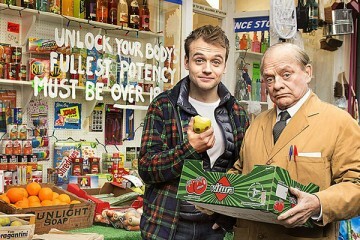 BBC producers didn’t like the title and insisted that it remain a temporary working title. A later working title given was The Library Mob, a reference to one of the trio’s regular haunts in the early series of the show. 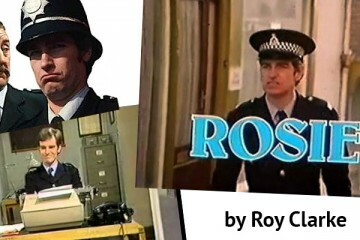 Shortly before production began Roy Clarke switched the title back to his original preference. The title eventually stuck although it was shortened to Last of the Summer Wine after the pilot show. It was Barry Took (comedian, writer, of Points Of View fame) who had produced a series of ultimately unsuccessful documentaries for the BBC about working men’s clubs, who was partially responsible for the choice of location for the exterior shots. 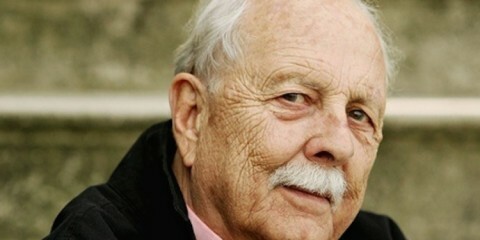 The programme of his series that had drawn the highest ratings focused on Burnlee Working Men’s Club, a club in a small West Yorkshire town called Holmfirth and Took saw Holmfirth’s potential as the backdrop of a television show. 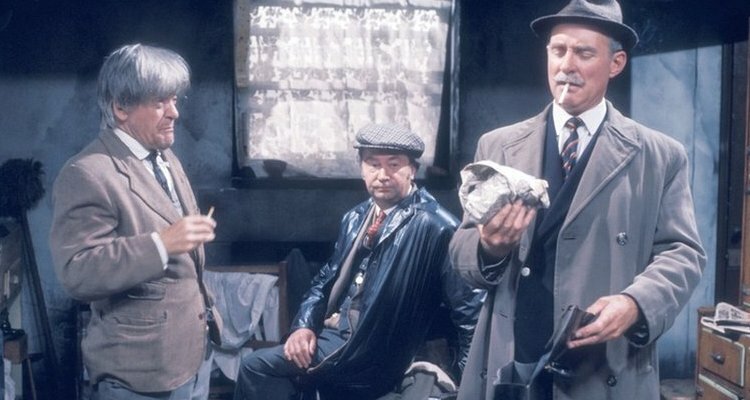 He passed the idea to James Gilbert and Roy Clarke via Duncan Wood, who was at that time filming Comedy Playhouse. Gilbert and Clarke then travelled to Holmfirth and decided to use it as the setting for the pilot of Last of the Summer Wine. For the next 37 years all exterior shots were filmed here, whilst interior shots were filmed before a live audience in Television Centre in London. By the early 1990’s location work increased and so in order to save time and money producer Alan J.W. Bell moved all filming to Holmfirth. 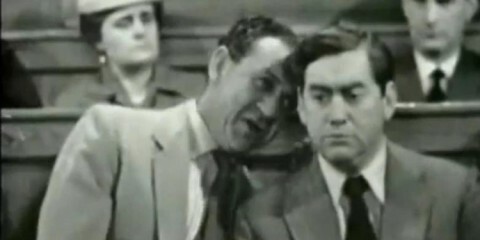 The finished product was then shown to preview audiences with their laughter recorded and mixed into the show’s soundtrack. From the very first episode to the last, the one recurring character was that of Norman Clegg as played by Peter Sallis. The show itself would revolve around three main characters. Initially these were Cyril Blamire, Norman Clegg and Compo Simmonite. Bill Owen would play Compo up to his death in 1999. After two series siting health reasons Michael Bates left the show. Rather than put another actor in to the part of Blamire, a new character was introduced in the form of Foggy Dewhirst, played by Brian Wilde. He left in 1985 and was replaced by Michael Aldridge as Seymour Utterthwaite, he departed in 1990 and Brian Wilde returned to the fold until 1998 when illness forced him to take a break. Frank Thornton was drafted in to replace him, becoming a permanent fixture until the show ended in 2010. Over the years the cast expanded taking in many characters and famous names. Perhaps the most popular characters were Nora Batty (Kathy Staff), Wally Batty (Joe Gladwin), Sid (John Comer), Ivy (Jane Freeman) and Wesley (Gorden Wharmby). There have been many famous faces as part of the line up over the years to many to list here.